Two Best Friends discussing topics relevant to the Ghetto and Bourgeoisie Millennials. Ever heard the saying, "Sticks and stones may break my bones but words will never hurt me?' We know this to be false because words are extremely powerful! 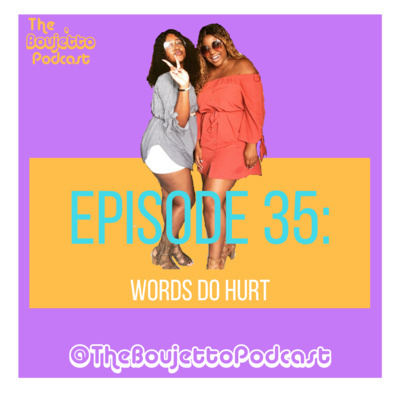 Listen to see what hosts, Miss Parker and Shakaria B have to say about how words DO hurt. Episode 34: Do You Want the Illusion or the Truth? Why do people love a sweet lie versus the bitter truth? Tune in to this episode to what hosts Miss Parker and Shakaria B think! Fruit of the Spirit Series Pt. 2! Explore the topic of Faith with us. Tune into this episode to hear hosts discuss how to "Learn to Unlearn" toxic habits from your upbringing that no longer serve you. Welcome to the Boujetto University! Class is officially in session and the first lesson is on code switching! Do you struggle with having patience? Are you waiting for something that you feel like you should already have by now? This episode is for you! Do you really want to be friends or is that just code for "I don't want to commit to you?" Tune into Episode 29 to hear why this Episode is titled, "We Can't Be Friends!" Tune into Episode 28 where we discuss other activities that black children should be exposed to other than sports. Our guest, Tonee is the Founder of The Be. Org, which works with youth in Baltimore City. Miss Parker and Shakaria B have some wonderful announcements to make on this episode! Tune in to hear how God has already begun to provide for 2019! 2019 G.O.A.L.S. (Getting Over All of Last years Sh!+)! Was 2018 cruel to you? Join us as we discuss our goals and pray for a better year in 2019! Just because you're blessed does not mean you aren't stressed! Tune into this episode to see how hosts, Shakaria B & Miss Parker get real about the stresses of life that come with each new level on the journey through life. Episode 24: Charge It To The Game! Did someone hurt your feelings? CHARGE IT TO THE GAME! Tune into Episode 24, where hosts discuss the art of charging it to the game! 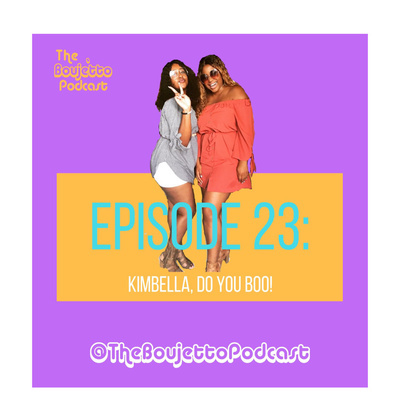 Episode 23: Kimbella, Do you boo! Juelz Santana has finally proposed to Kimbella and the whole world has something to say. 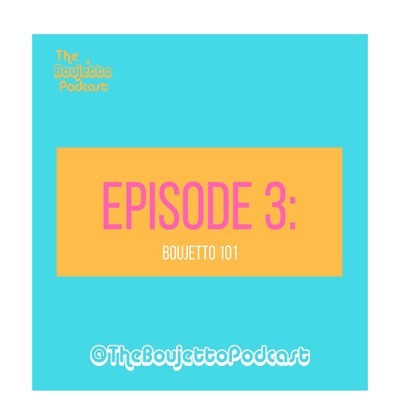 Tune in to this episode to hear the Boujetto perspective. Episode 22: Demand What You Want! Having trouble demanding what you want out of life? This Episode is for you! You have not because you ask not, PERIOD! Is shackin' up for you? Tune in as hosts, Shakaria B and Miss Parker discuss their views on shackin' up. Tune into episode 20 where hosts Miss Parker and Shakaria B profess their sincere love for Black Men, as well give Black women tips on loving the black men in their lives. Winter is coming! Are you going to get got this cuffing season, or opt for some self-improvement? Tune in to hear hosts, Miss Parker and Sharia B discuss cuffing season! Tune in as hosts Shakaria B and Miss Parker, give you the Rules & Regulations of an HBCU Homecoming! It's homecoming season baby!!! Episode 17: Ex Marks the STOP: Can Ex's Be Friends? 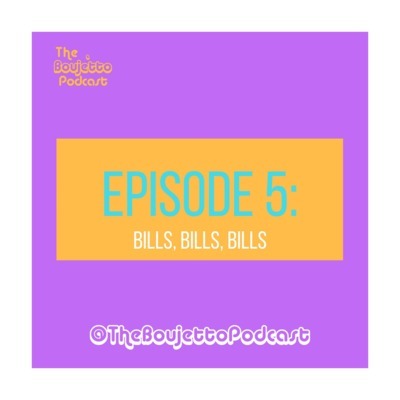 Hosts, Miss Parker and Shakaria B, and special guest Poetic La, discuss if it's possible to be friends with your Ex. You don't want to miss this episode! Tune into Episode 16 where we discuss real estate investing in Baltimore City with Kyara of Charm City Buyers. Charm City Buyers is a real estate investment company comprised of a Black Millennial, Married Couple and their Daughter. Listen to this episode to see how they began their journey to buying blocks! Are you a Millennial with passions outside of your 9-5? Are you tired of older generations telling you to just stick to one thing? Tune in to Episode 15 to listen to our conversation with Multifaceted Millennial, Jay Simms AKA Divine Minde to discuss how he juggles being a high school teacher, photo journalist for a major news paper, media and production specialist and a Rapper. Episode 14: What's Your Body Count? We know what you're thinking, "why would they ask this?" But guess what, we are thinking the same thing for some of yall asking your partners or random dates this! Tune in to Episode 14 to see what hosts Shakaria B and Miss Parker think about "Body Count." Episode 13: Just Do It or Jesus Did It? Tune in to Episode 13 to listen to hosts Miss Parker and Shakaria B, discuss their take on Colin Kaepernick's victory as the face of Nike's 30th Anniversary Ad Campaign. If you don't believe, after listening to this Episode, you will know that Jesus did it! Episode 12: Do You Want to Love Me or Win Me? Have you ever dated someone and felt like they want to conquer you rather than love you? Annoying right? Like our girl Sza says, "Why you bother me when you know you don't want me!?" Tune in to Episode 12, where hosts Shakaria B and Miss Parker provide you with 5 tips to identify if someone just wants to win you and not love you. Listen to Episode 11 as Boujetto hosts, Miss Parker and Shakaria B discuss convenience vs. tradition and how they have decided to choose wisely between the two to write the narrative of their own lives. What are some of the traditions in your family structure that you are choosing to do differently in your life due to convenience? In a world where ownership is the greatest goal, we are highlighting the Kingdom principle of Stewardship. Have you properly managed what God has given you? Tune in to see what our hosts Miss Parker and Shakaria, take ya'll to church real quick! Every girl dreams about her wedding and the type of ring she will rock. They say that Diamonds are a girl's best friend, but what if we told you their are other options? Listen to hosts, Miss Parker and Shakaria B discuss how they plan to have it all, without going broke, in their wedding rings! Everybody knows what we're talking about! That lady that has the scriptures in her office and in the signature of her email, but treats everyone horribly! Tune in to listen to our experiences with "the old black heifer at work." 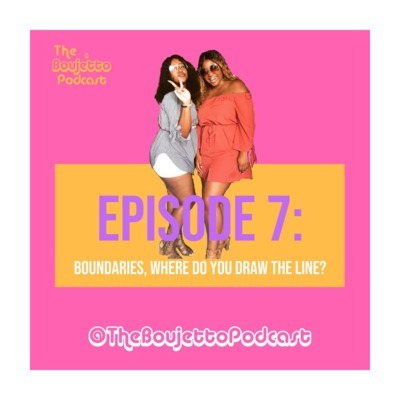 Episode 7: Boundaries, Where do you draw the line? Hosts Miss Parker and Shakaria B explore the construct of boundaries by reading Dr. Henry Cloud's The One-Life Solution: Reclaiming Your Personal Life While Achieving Greater Professional Success. Boundaries affect us on the inside and outside. They affect they way we interact with others and the degree to which we are successful in our pursuits. Maybe your next level of elevation is tied to establishing better boundaries. 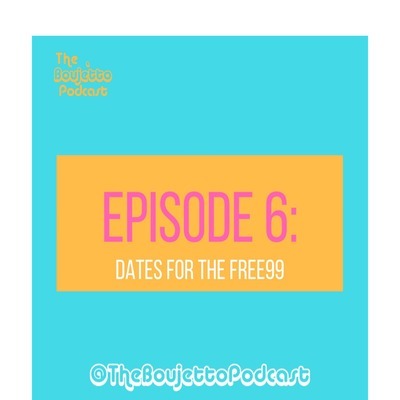 Would you date someone that only does free dates for the first 90 days? Tune in to heard what hosts, Miss Parker, Shakaria B and a very special guest have to say about dating for the Free99! 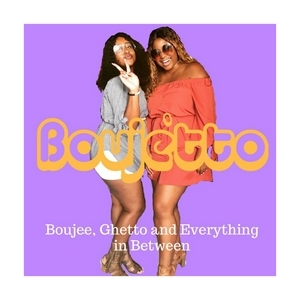 On this episode, Miss Parker and Shakaria B are giving you all a "Boujetto for Dummies" overview, while explaining the importance of being yourself. Nothing beats authenticity! Tune in to see what birthed the Boujetto brand. 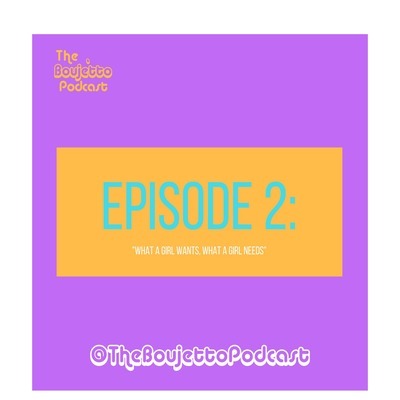 Episode 2: "What a Girl Wants, What a Girl Needs"
If asked to describe your ideal spouse without discussing physical characteristics and wealth, could you do it? 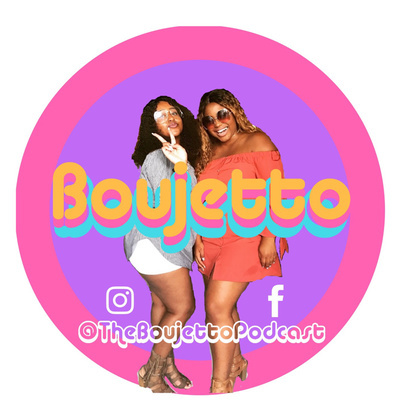 In this episode of The Boujetto Podcast, hosts Miss Parker and Shakaria B discuss what characteristics they desire in their husbands. In this episode, we will discuss colorism in the black community within dating . 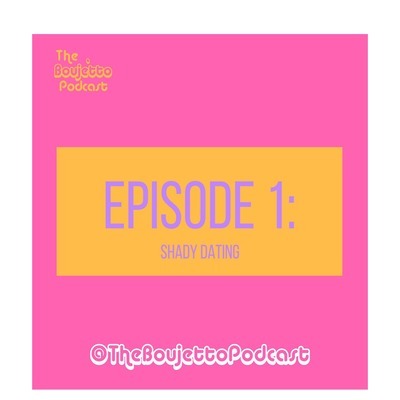 Shady dating is a "boujetto term" highlighting dating preference according to skin tone, specifically lighter skin. The hosts Miss Parker and Shakaria B have experienced "shady dating" first hand. We have a special guest that will shed light on the intricacies of her experience as a lighter skinned black woman. Press play to find out if you're a shady dater! Okurrrt!